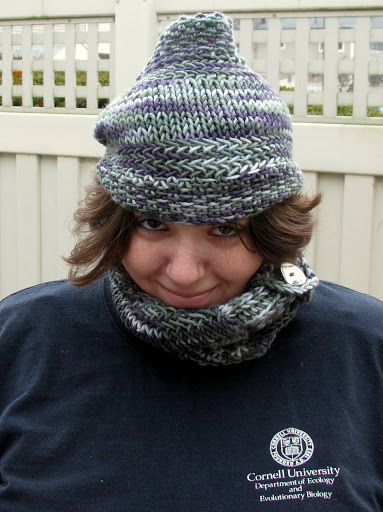 Let me start this post off by saying this: I love the design of the finished cowl you are about to see and I do not at all blame the designer or the design for the tiny issues I have with my cowl. That said, I finished a gorgeous cowl and I’m not sure if it’s practical for how I wanted to wear it, and therein lays my knitterly dilemma. I, quite frankly, don’t know what to do! At this point, I’m really wishing I had knit the small size, which would’ve been snugger around the neck but would’ve left me with a bunch of leftover yarn (mine was medium and large would’ve taken two skeins). 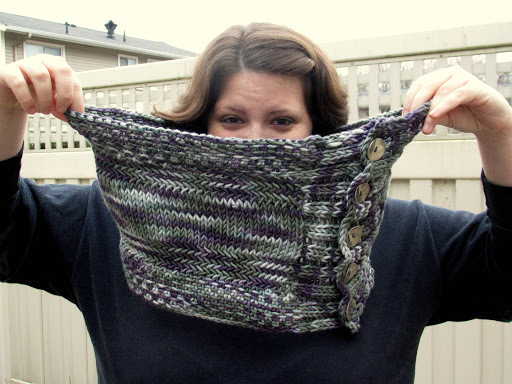 I had wanted this cowl to be sort of an indoor cowl. My neck is always chilly at work and I wanted a little something to wear that wasn’t really bulky and also wasn’t a full-on scarf. I’m tempted to frog it and start over because the yarn is just too fantastic not to get worn, but it probably wouldn’t get re-knit for months. I’m giving it a test drive at work today to see how it goes. What would you do? 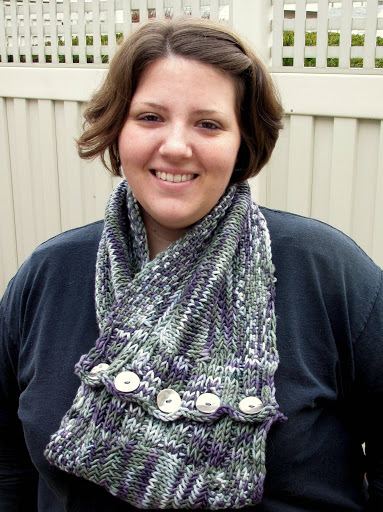 This entry was posted in BlueMoon, cowls, FO, KAL by shoelaceswitcher. Bookmark the permalink. Oh hilarious photos! I'm such a sucker for herringbone stitch, it is so much fun to knit. I hate to suggest it, but maybe you should frog and start over? Would you wear it that way? Loving the photos and jokes. 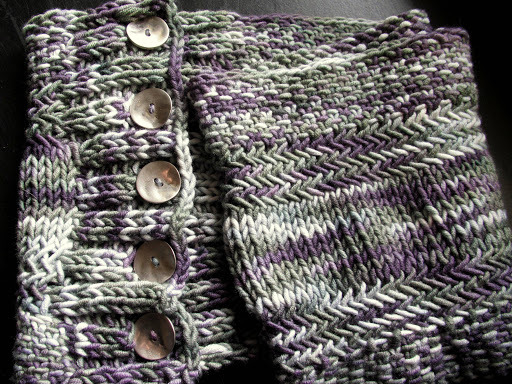 I will agree, that cowl has some issues, but I do love that pattern and the colors/buttons you chose look great. I agree with Pumpkin that maybe you need to try it again or alter it somehow to make it work in your favor. I like the hat and scarf way of wearing it, but I think if you're not happy with it, you should frog it and make the small one?